Just wondering, does "It Couldn't Just Happen" promote a Young Earth Creation worldview? Rebecca~ I have not used Latin for Children. If you wish to do Latin with all 3 of your children together, I think Song School would be a good fit. It might be on the "cute" side for your 5th grader, but it's a great introduction and would be perfect for your 1st and 2nd graders. [My rising 5th grader doesn't care that it's cute, but some might.] I think Latin for Children would be too advanced for your youngers. barefootmommy~ I haven't read it *closely*, but I would say that it is not dogmatic about how old the earth is from several quotes. It reviews the different creation theories (young earth, gap theory, day-age theory, revelatory-day theory) and then says "Each of these theories is a theory about how we should understand what Genesis is saying. A person can accept any of these interpretations of Genesis without denying God or rejecting the Bible. It is possible that one of these understandings of Genesis will turn out to be right. But since we do not know for sure, we should not be dogmatic about the one we prefer." It does state that "theistic evolution" does not seem to be supported by the Bible because "the Bible is clear that human beings were specially created by God" and "the Bible also makes it clear that the basic kinds of living creatures were directly created by God." I'd say that it is fairly strongly against evolution, but not necessarily against all old earth theories. Elsewhere, it says that the Bible says that God created the universe but it does not say when. Does that help? Stacy~ I kinda wish my boys could be in the same Challenge together like my niece and nephew were, because it'd be so much easier during the week!! I don't know that my boys would enjoy being together in class, though. ;) I need to figure out a co-op of sorts for Lola. I wish you were closer, too!! Ha! Enjoy your year! I'm curious as to whether you still use Writing with Ease/Writing with Skill/First Language Lessons with your boys. If not, what were your reasons for switching? Thanks for all your blog posts - they have been immensely helpful as I plan my own year. I am just curious why you are doing Latin Alive instead of Henle Latin for Challenge A? I don't know anything about Latin Alive. I am using Visual Latin for summer prep with my son, who starts Challenge A on August 15th. I have my reserves for placing him in Challenge A, but perhaps it is his mom that does not want to let him go. He will be among a great group of kids from his Foundation years. I guess my concerns are that he will be the youngest in the class and not knowing how he will handle the work load. We are also in CC. My daughter will be in her second year of Foundations this Fall. So how does it work out when you do a different math program than Saxon at the Challenge level? How does that play out in the class time when Saxon is used as the text? Why I am choosing Latin Alive for my Latin curriculum at home. We have studied Latin using Henle Latin 1 for 2 years. We are members of a Classical Co-op program that utilizes Henle Latin 1 for the core of their “Jr High” Latin study. I have diligently attempted to follow the suggested use of the textbook, and while my children generally enjoy learning Latin; we have had many struggles that I believe could be avoided. Henle is a valid program that has been in use many years. There are people who love it and have found great success for their families. First, my criticisms of the Henle curriculum that brought me to the point of looking elsewhere for a different curriculum. 1. Designed for master teachers: It is not designed for a person with no prior Latin knowledge to teach from. There is no Teachers Guide, and while some have pulled together more thorough answer keys. (Hemmings A+ guide, Seton answer key) the official Henle answer key leaves much to be desired. 2. Layout of material: Students have to manipulate multiple books in order to be successful completing their assignment. Print is small and it is difficult to find the actual instruction when you are flipping back and forth trying to remember the rule or vocab. that was presented last lesson. 3. Handwrite all exercises: Generally, to be truly successful, this involves writing out the Latin Sentence the translating. While this is a very classical mode of learning, neither of my students were able to maintain the volume of writing for very long. Jr High kids seem to lack fine motor function and handwriting can be very difficult for some. 4. War: did nothing else happen in Roman life? Following Henle, my children have not learned anything of the daily life of the Romans, words for colors or numbers. 5. Women: there is one woman presented in the book, Mary. My dear child asked at one point if all women in Roman times were named Mary! 6. Unique to the co-op use: The Trivium Table did not align with the Henle curriculum and made students and their tutor very confused until it was realized that the Trivium Table was written for a curriculum the co-op used prior to Henle. The things I was looking for in a Latin program were specific. 1. I wanted my students to read Latin texts. 2. I believed that they should know about Roman daily life through their studies. 3. Clear organized layout of materials. Easy to find vocabulary and grammar rules. 5. Audio/Video supplements that instruct students and parents how words should be pronounced and to reinforce concepts. I researched several curriculums some were stronger in some areas than others. I looked through First Form Latin but do not have a pro/con as I didn’t spend a lot of time with it. It didn’t grab my attention as the answer for my family. Karen~ The class should be mostly dialogue and discussion about math concepts. It isn't specifically instruction of the Saxon text. Often students are at different levels (and using various texts) anyway, so they just participate in discussion as they are able. Sometimes it will be an introduction to a concept for them, sometimes it will be a review. But even students who are at a lower level should be able to identify and work through parts of the concepts. Thanks for explaining Heidi. Would it be as simple with the Latin though? After reading the comment above that you shared from your friend, I wondered if discussion would be a bit more difficult using a different Latin program. I'm wondering if having a copy of the Henle text to look over before co-op day would make it easier if you opt to use another Latin program. I'm thinking about all of this now even though my daughter is only in her second year of Foundations come this Fall. (She will be in Foundations and Essentials the following year.) I am looking at these things now as I try to decide which Latin program to proceed with next year after having done Song School Latin this year. (I was thinking we might need to start Prima Latina and that program which uses Henle Latin in later years because the Challenge program uses Henle.) My daughter loved the Song School books. She did Song School Spanish last year, Song School Latin 1 this year, and just asked me the other day if she could do the Song School Greek. I don't think it's necessary to use Memoria Press's Latin materials before going into Henle. In fact, Memoria Press's Latin uses ecclesiastical pronunciation and CC uses classical pronunciation with Henle. Song School and Latin for Children are great introductions to Latin whether you end up using Latin Alive or Henle in Challenge. Thanks Heidi for your Latin explanation. I believe your friend is right about Henle Latin. Henle Latin text is geared for high school students and not junior high. The amount of writing is my fear too. My son just turned 12 in April and writing is not his strength. I may have to look into Latin Alive! I have reviewed Prima Latina, Latin Christiana, First Form Latin, Latin's Not So Tough, Visual Latin, and Song School Latin. So far my kids have enjoyed Visual Latin and Song School Latin. Thank you for blogging, so I can receive some valuable info. A few of us (my local CC families), after using Henle Latin 1 for two years, are jumping ship to Latin Alive as well. Our reasons mirror Tricia's exactly. To quote my friend, "We are seeking the good, the true, and the beautiful...and Henle just ain't beautiful!" :) We chuckled, but she's right. Neither Henle's 1940s graphic design nor its content (Slaughter Gauls!) is beautiful. I decided that CC is a tool in my hands, not my task master. Therefore, I will keep what we love (learning Latin!) but find a more suitable format. It's encouraging to know we aren't alone in this. "We are seeking the good, the true, and the beautiful...and Henle just ain't beautiful!" :) We chuckled, but she's right. Neither Henle's 1940s graphic design nor its content (Slaughter Gauls!) is beautiful. Exactly! Latin Alive is very simple and clear in it's presentation. Even more so than HL. Thanks for the kind words, Heidi. This looks so much like my life- Ch1, CHA, except four in Foundations and two of those doing Essentials. Add the two year old with Down syndrome and whew! I like seeing your simplicity- it encourages me! Thanks for sharing. I actually just started three kids on Khan academy this week....do you have any posts or comments on Khan? I too was very curious about your Latin change. My oldest will be 5th grade, so we aren't quite to those Challenge years, but I'm already thinking about them. Thanks for answering so thoroughly why your switch. I'm actually excited and relieved to hear you and others in CC are choosing to do what's best for your kids, not what CC recommends. It gives me courage to do the same. Thanks, Heidi, for all your hard work here on your blog that you so graciously share with us. Heidi- Wow! I'm so happy you have shared! I've been reading your blog for 2 years. I was so curious as to why you took Your eldest out of CC last year and now I know. We have a similar age family. My daughter just completed challenge I, this will be our 7th year, my 12 year old is entering Challenge A with a dear woman who also tutored my daughter. I have a 5 year old daughter who would be in her second year of Foundations, but I have chosen to keep her out this year, and a three year old. We really struggled with Henle and I believe this is one of the major reasons my daughter did not fully love Challenge. She's been through it these past three years, and refuses to do it again. So she will move onto Spanish. With my son starting out in Challenge A, I have hesitated to buy a new Henle book, maybe your blog is my encouragement to go in another direction. Really appreciate your blog. Thanks so much for all your work on this blog. I also benefit from it tremendously, and especially loved your series on leading a Book Detectives Group. Lauren~ I think you could set up your own poetry memorization program for less (the book The Harp and the Laurel Wreath is particularly lovely for a less expensive option). We do enjoy the IEW program, however. It has a great variety of poetry (funny, serious, short, long, and various styles), but the greatest part about it is the CD. There's just something about listening to the poems repeatedly, and this is so much easier to do with a CD. My daughter has memorized several poems just by listening to the CD often. (Again, you could always record yourself reading poems instead.) I think it would work great for a group of kids in a co-op. I am a first-time Challenge B tutor. Last year I was a first-time Challenge A tutor. This is also only my 3rd year as part of the CC program. I wanted to give some ideas to people who agree with Tricia's and your evaluation of Henle, but have decided to continue to use it anyway. 2. Teacher's Guide. Last year I used Magistra Jones' Companion Volume fairly regularly to help me understand the material, and I expect I will be doing that again after Christmas, when we start to cover new material again. 3. Locating vocab quickly: If you don't want to have a separate vocab list, there are 3 "Mastery Lists" within the Henle text that lists MOST of the vocab covered up to that point. I tabbed those and now I find that the vocab is fairly easy to locate. Also, my boys really enjoy drilling vocab using the memrise app on their Kindles. Hopefully these tips help some folks. I am very curious if you are finding good cultural information in Latin Alive? That is my personal biggest disappointment with Henle. (I must admit, however, that my two boys enjoy the mostly war-related sentences in Henle). Can you give us a review of Latin Alive since you have been using it for a while now? Hi, Heidi. I know this is an older post, so I hope you get this! 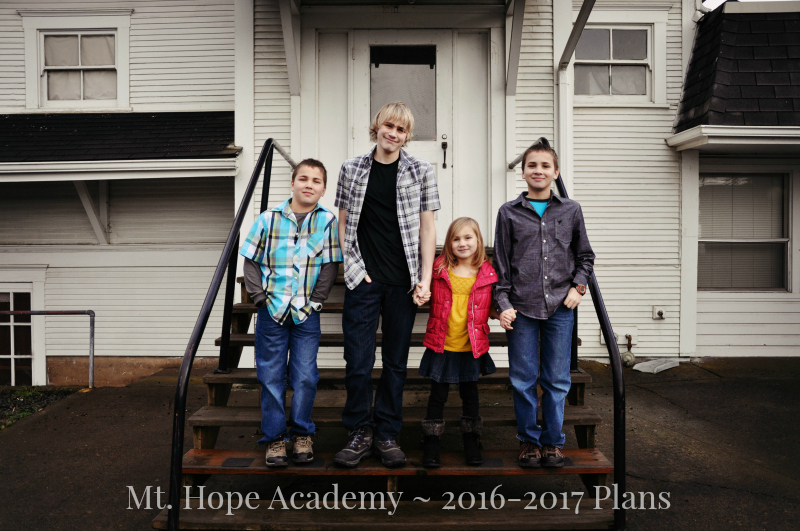 This is our first year in CC - a 10 yr old daughter in Essentials & Foundations, and two boys (8 & 4) in Foundations. We have thoroughly enjoyed CC as a "fun" learning day, and it has truly brought out my middle boy from his very shy shell! In looking forward, something has come up as a big concern regarding the Challenge program: student accountability. In our community (all CC communities? ), the tutors say over and over each week, "Of course, it's up to your mom to decide your work/project/how much." While I truly appreciate being seen as my children's primary teacher, I also see how this mentality creates a bit of a problem when you are enrolled in an actual program. In Foundations alone, each week there are students who either come in without a presentation or with a completely different topic simply b/c they "didn't want to" and mom said it was OK. Fine, this is acceptable, I suppose, when your student is 5 or 8. But then I see the same thing in Essentials - students only writing three sentences instead of an entire paragraph, or not writing one at all. ((Of course life circumstances come up, and a week every now and then where something gets put on the back burner is understandable! And of course, kids perform on different levels (my dyslexic son being one of them).)) However, I see a pattern of this and it is giving me pause about the Challenge program. If students are allowed to repeatedly choose not to do assignments, then how does Challenge function well? If students are to spend an entire day discussing what they have been learning throughout the week, yet multiple students do not actually do the work - how does the Challenge class operate each week? I don't ask this with any defenses up, I promise. My kiddos look forward to our CC days each week, and I am I am so blessed by that! I simply ask because it concerns me. CC is an expensive program, and I just want to make sure that we use our time and money wisely! Because we are not in Challenge yet, I don't know how it all works. :) Could you possibly give me any insight?